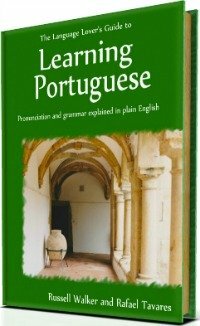 Do you want to learn European Portuguese? This is the section for you who wants to learn European Portuguese. 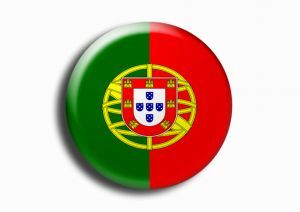 If you want to speak Portuguese because you are going to be dealing with African Portuguese speaking countries, this section is also the right section for you. The African Portuguese language structure is the same as the European (also called Continental Portuguese) one. The difference between European and Brazilian Portuguese is not big, however there are a few vital differences that you have to take into account. This site is divided into two different sections, which allows you to focus on what you really want to learn. You have chosen the right way to make your affairs go smoothly. Every technique, word or expression you learn relates to real situations. But, once again - Feel it! Well but, how can I actually start speaking? What is the starting point? 1. Your mindset is your starting point. 2. Your motivation is what comes after. 3. Action is the 3rd step! In this last step you'll feel overwhelmed with a lot of information. Items to learn, words, phrases, rules, and so on! When you get there, don’t try to learn the words, phrases, rules all at once. Learn one or two per day! Do exercises about what you learn and don’t go to the next stage without having total control of the previous one. Remember, you are starting using a method. Every method needs to be followed in a certain way.Imagine that if you want to drink water from a bottle, you first have to open the bottle. Languages operate like that.You want to learn European Portuguese, right? So you need to understand the way you learn first. Your visual memory - what you see at the time you learn a new word or expression, the object you see when you associate it to the corresponding word, that makes you remember things later. Your audio memory – this is the sound a word has when uttered. This is the feeling you have when you hear the sounds of the words which make you recall them later. Word stress, for instance. Your feelings memory which is the psychological state you associate to a particular word or expression. Your writing memory that allows you to think in detail about every single word and expression you focus on. Your speaking memory - the mouth, throat and face muscles you have to move to reproduce a word or sentence. This information is sent to your brain and allow you to store and recall the language later. That’s why learning a language takes time! This is because you have to experience different situations, feelings, moods, accents, and obviously, different ways of expression. Think about this, and then move forward! While you learn European Portuguese, you won't be on your own. I'll be here for you! How to learn European Portuguese Language. Days of the week in Portuguese. At the café in Portuguese. Please click the links above to start your journey to this amazing world, and prepare yourself to begin this exciting odyssey! Hey! You are about to learn the 3rd most spoken European Language in the World! Did you know that? So, get ready and let's start now!